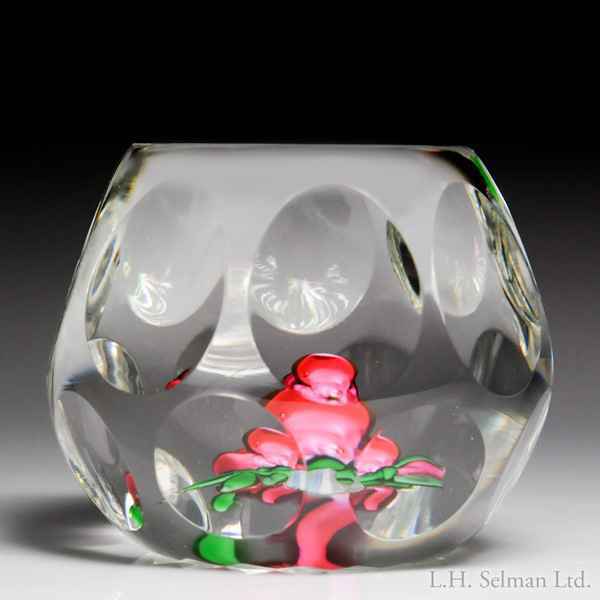 Perthshire Paperweights (1980) pink "Rose and Bud" faceted paperweight. A dimensional magenta rose, perched on a stem shared with a three-leaf sprig and a companion bud, is centered over a clear, star-cut ground. Two rings of eight facets and one top facet. Limited edition of 300; 224 made. Signature cane. Excellent condition. Diameter 2 5/8".